Whether it is the capital city of Berlin, with its many monuments, sights and museums, Munich with its Olympic Park, the English Garden and Oktoberfest or Dusseldorf with its Rhine Tower. The German cities have a lot to offer and they are just waiting to be discovered. 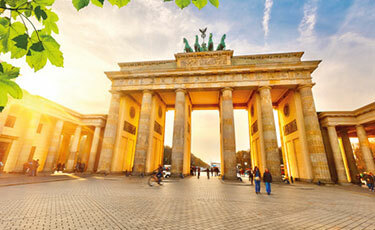 With over 30 million annual visitors, Germany is one of the most popular travel destinations in the world. Important areas for tourists are the bathing and health tourism on the coasts, the city tourism in major cities and the sports tourism in the mountains, which are held in the winter. Furthermore, Germany has established itself as a trade fair and congress location. For example, the world's leading tourism fair ITB Berlin, the world's largest agricultural technology trade fair Agritechnica and the largest trade show for information technology CeBit take place in Germany. Switzerland is located at the borders of Germany, Liechtenstein, Austria, Italy and France and is not only known for its holey cheese and the Swiss Army knife, but also for its stunning nature, beautiful skiing regions and a diverse culture. In contrast to most other countries, which have one or two official languages, Switzerland has four national languages: German, French, Italian and Romansh. Most Swiss people speak German. Switzerland has lots of charming cities and three of the nicest ones are Bern, Zurich and Basel. For this reason we would like to give you some information about these cities and tell you, which attractions are worth a visit. Italy is one of the most popular travel destinations in Europe. From a geographical point of view Italy is a peninsula, because all 20 regions of this country are located by the sea. Since Italy has a coastline of more than 7600 km, it is not surprising that Italy is very popular among beach vacationers. But the interior has much to offer, too. The Southern Europe parliamentary republic is known for its exquisite cuisine, its romantic scenery and the high density of interesting sights. 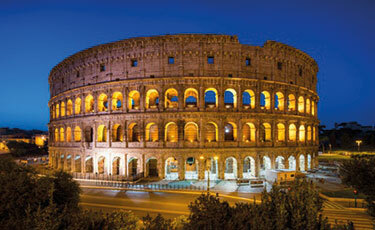 In fact, there is no other European country with more UNESCO World Heritage sites than Italy. 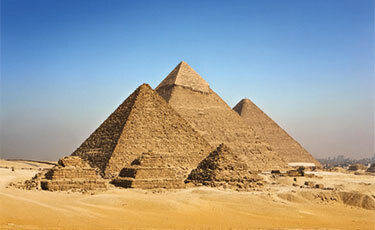 Egypt has a size of more than a million square kilometers and is located in the northeast of Africa. The country has about 87 million inhabitants and is mostly known for its fascinating culture and historical monuments, such as the Giza pyramid complex and the Valley of Kings, but there are also many other touristic highlights to be discovered. 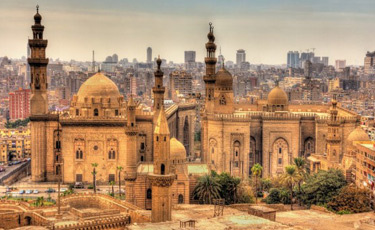 Cairo is the capital of Egypt and at the same time the largest city of this country. It's also an important economic, political and cultural center in the Arabic world. 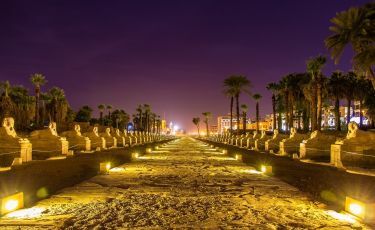 Besides Cairo, Hurghada, Sharm El Sheikh, Aswan and Marsa Alam belong to the most popular tourist destinations in Egypt. 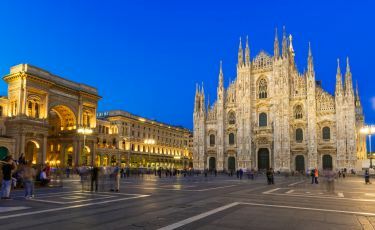 In the following we would like to present you a few details about these cities, including their most important sights. 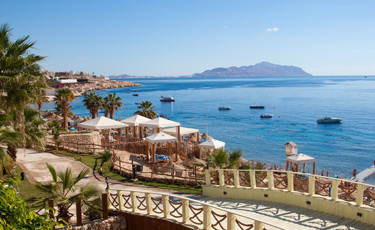 The resort town Hurghada is known for its beautiful beaches, clear water and coral reefs. The weather is almost always good; just few other places in the world have similar high amount of sunshine hours. If you want to enjoy warm temperature, you should visit Hurghada between December and April. Though, if you like it really hot, then you should come between May and October. No matter if you visit this charming place with friends or with your family, there is always enough you can do besides diving, doing water sports or simply enjoying nature. There are plenty of bars, restaurants, discos and bazaars waiting to be explored by you. Cairo is not only the capital of Egypt and the largest city in the Middle East, it is also a magnet for tourists. In this exotic and exhilarating city you can visit the Khan El Khalili ancient bazaar, the Giza Pyramids, the Tahrir Square and the Egyptian Museum of Antiquities. You can also go to the cinema, go shopping in malls or go to the opera. It is really hot in Cairo around July and if you want to avoid temperatures of about 36°C, it is a good idea to visit the metropolitan area around January, when you are facing temperatures between 15°C and 21°C. Cairo is also the perfect place to enjoy the nightlife. 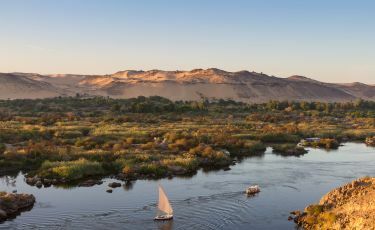 Aswan is the capital of Aswan Governorate in the south of Egypt and an important tourist destination. In this city you can visit the Nubian Museum, the Philae Temple and many other tourist attractions. Aswan is also the main destination to see fascinating temples of Abu Simbel. Luxor is the capital of Luxor Governorate, located in Upper (southern) Egypt and also an important tourist destination with lots of temples, like Luxor and Karnak. Although there are really old and historic monuments, you can still enjoy all the benefits of a modern city. 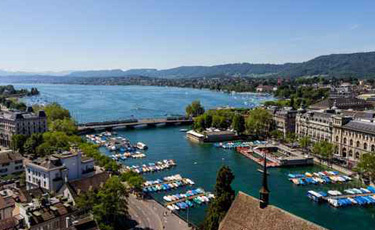 Zurich is the capital and the biggest city in Switzerland. It is known for its large financial centers, low tax rates and rich cultural tradition. There are a lot of interesting galleries and museums, high-class symphony orchestras and some of the most important theaters in Europe. The Swiss city is also home of the Zürich Film Festival, a large annual Street Parade, and really tasty traditional cuisine. If you want to enjoy nightlife, the district Niederdorf is the place to go. There you can find lots of restaurants, lounges, bars and clubs. 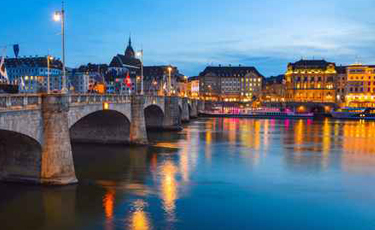 Basel is located in northwest Switzerland, where the borders of Germany, France and Switzerland meet. It is one of the most important cities and the cultural center of Switzerland. There are a lot of theaters, monasteries and churches that you can explore. There are also many museums and one of them is the Museum of Fine Arts, which holds the world's oldest art collection accessible to the public. If you like zoos, be sure to visit the Zoo Basel, which is the second most visited tourist attraction and the oldest zoo in Switzerland with large number of different animals. 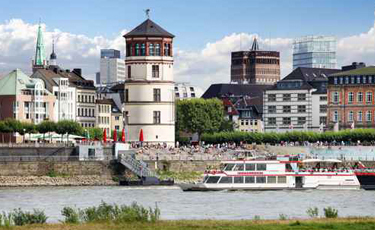 Dusseldorf is the capital of the German state of North Rhine-Westphalia and has population of about 11 million people. It is the birth place of the famous German poet Heinrich Heine. The city is not only an important commercial center in Germany, but it is also known as a cultural center. If you like beer, you have to taste the famous "Altbier", which is produced by local micro-breweries. The Arts Academy of Dusseldorf is a must for those who like visiting museums, but there are also many other interesting museums, theaters and pubs. If the weather is good, you should visit the Hofgarten, the Botanical Garden, Nordpark and the Aqua Zoo. Stuttgart has an industrial reputation, but it is still spread across valleys, hills and wonderful parks. The city is located in the southwest Germany. 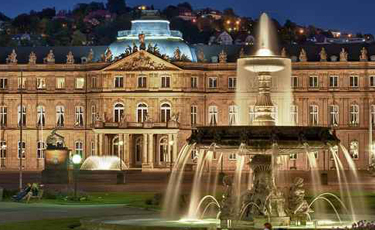 It is the capital of Baden-Württemberg state and the sixth largest city in the country. There are many museums, for example, the Mercedes-Benz Museum and Porsche Museum. The fact that those museums are located in Stuttgart is no coincidence: Mercedes-Benz and Porsche both have their headquarters in Stuttgart. If you visit Stuttgart with your family, the zoological and botanical garden Wilhelma is definitely a must. For an interesting astronomical journey you should visit the Carl Zeiss Planetarium. Hannover is the capital of the federal state of Niedersachsen and home for some big companies like Continental, Varta and Volkswagen. The most famous attraction of Hannover are the historical Royal Gardens of Herrenhausen, which are the famous ensemble of culture and garden arts. 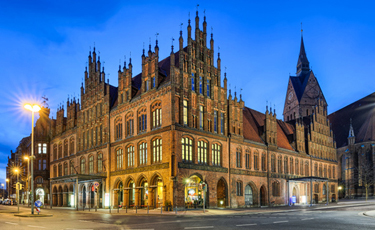 There are also lots of historical buildings in Hannover, for example, The Old Town Hall, the half-timbered buildings and museums in the Old Town and the Malt Kirche church built in the 14th century. If you travel to Hannover with your family, be sure to visit the Sea Life Hannover, which is the home for more than 3,500 underwater creatures. Pisa is the capital of the province Pisa in the famous Toscana. The cityscape is characterized by many alleys and typical houses painted in “Pisaner Yellow”. 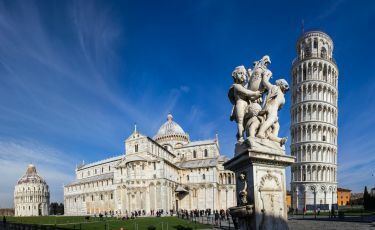 Pisa is very well known for its famous “Leaning Tower of Pisa”, but it has much more other attractions to offer. For example, the Piazza dei Cavalieri and the church Santa Maria della Spinne. Pisa is known as one of the most important university cities in Italy, even Galileo Galilei studied in Pisa. Although the culinary art of Pisa has much to offer, there are a lot of restaurants and bars, which represent the typical Toscana kitchen.